A timeless keepsake. This beautiful angel stands for hope and peace. She gleams in faceted clear crystal with a beautifully contrasting head and hands in matt crystal. A shining star in Golden Shadow crystal glows in her hand. This elegant angel is on a white satin ribbon. 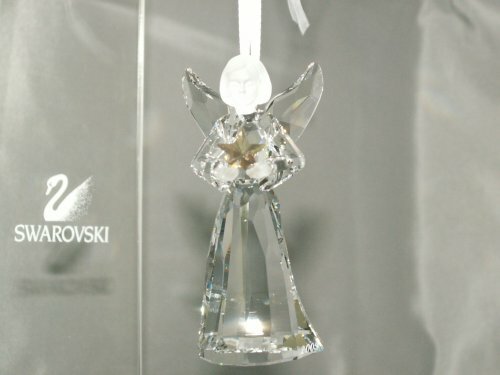 As a Christmas tree ornament a standing table decoration or as a present the angel makes the spirit of Christmas come alive. The year of issue 2009 is engraved on the seam of the skirt.